Brad Goreski attended the 1st Annual Children Mending Hearts Style Sunday yesterday in Beverly Hills, California. 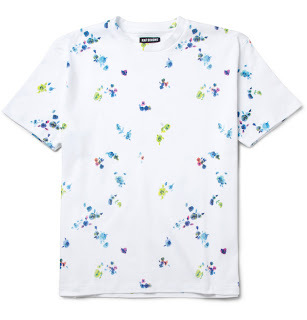 The TV star and fashion stylist wore a floral print Raf Simons t-shirt from an exclusive collection made for online retailer Mr Porter. His signature black framed glasses, blue trousers and Christian Louboutin "Bruno Orlato" shoes completed his look. Mika wore the same shoes in blue/turquoise last week. Love the summery and colourful look, something I would wear myself too. 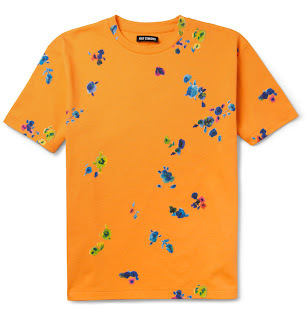 You can shop the Raf Simons t-shirt exclusively from Mr Porter.